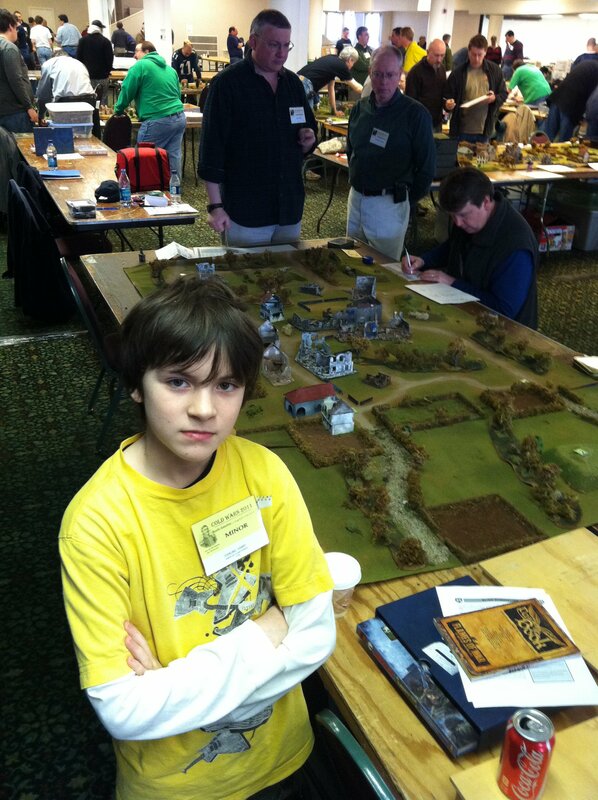 For my son’s first real con, we went big and signed up for the official Flames of War tournament. The all-day event of two back-to-back games for each team of players is gruelling and chock full of experts on the game. 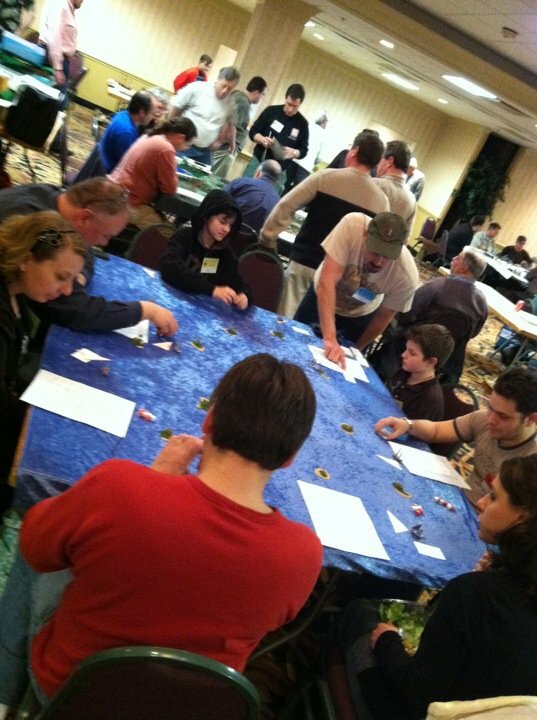 My son (pictured in yellow) was easily the youngest player in the room, but everyone treated him with patience and respect as we were trounced throughout the day. My brother (pictured in red) was also along for the day. Despite our catastrophic loss we had a great time as a father-son team. 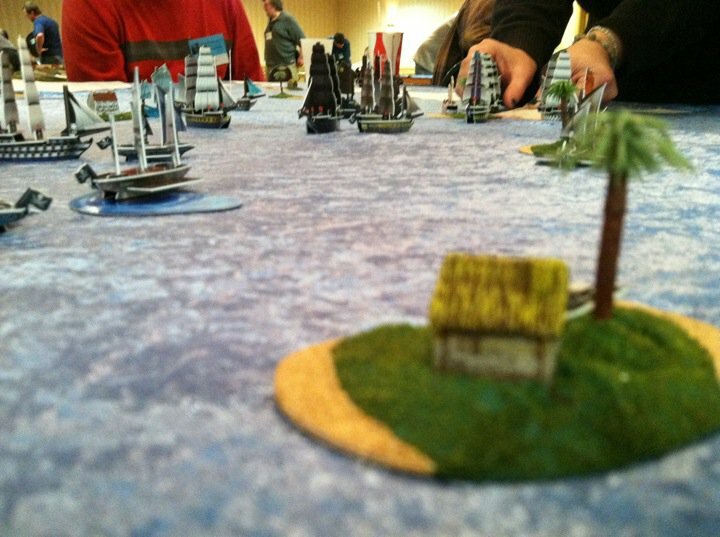 At just about every convention, my brother puts on a home-brewed Pirates of the Caribbean game that’s always a late night popular hit with guys, women and kids. It’s a fun game of sailing, sea combat, treasure hunting, kidnapping and double-crossing that really captures the pirate spirit. And, I love his little scratch-built islands. 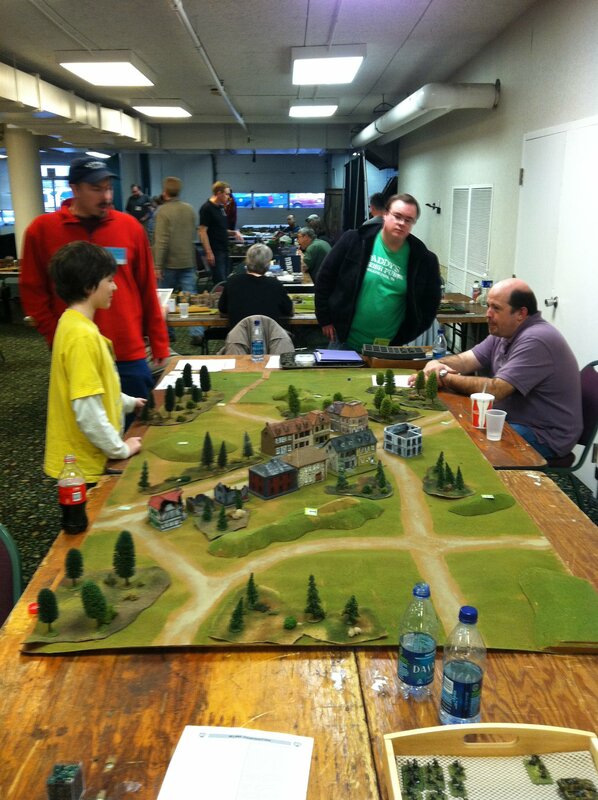 One of the things I most enjoy about the conventions is playing games and eras I never would otherwise. 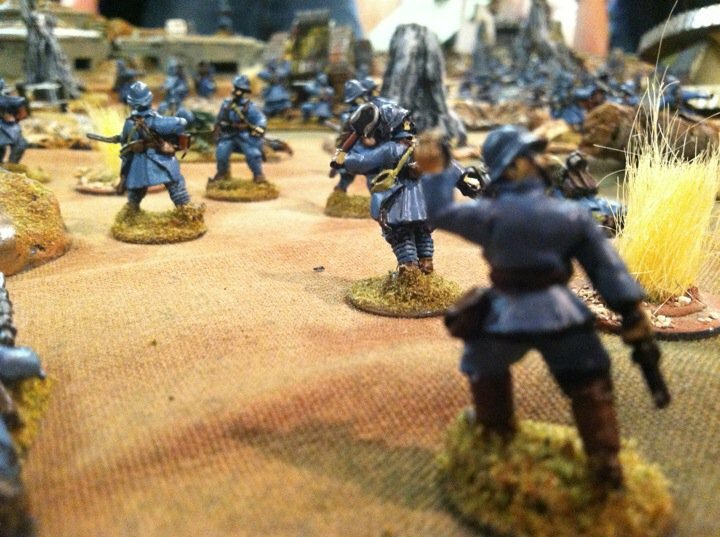 These guys always put on huge games at the cons, and this WWI trench assault game in 25mm was a blast with ten players on each side. 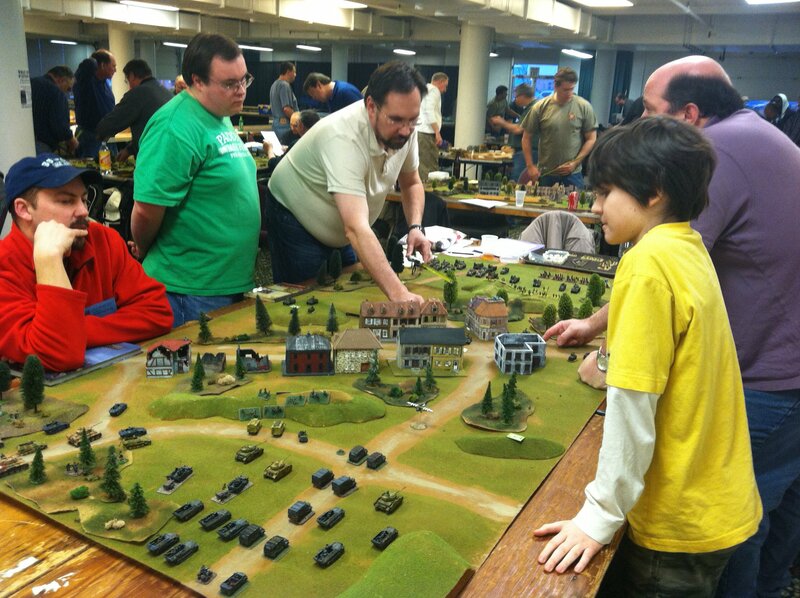 My French didn’t fare well against the Germans, but it was a blast.